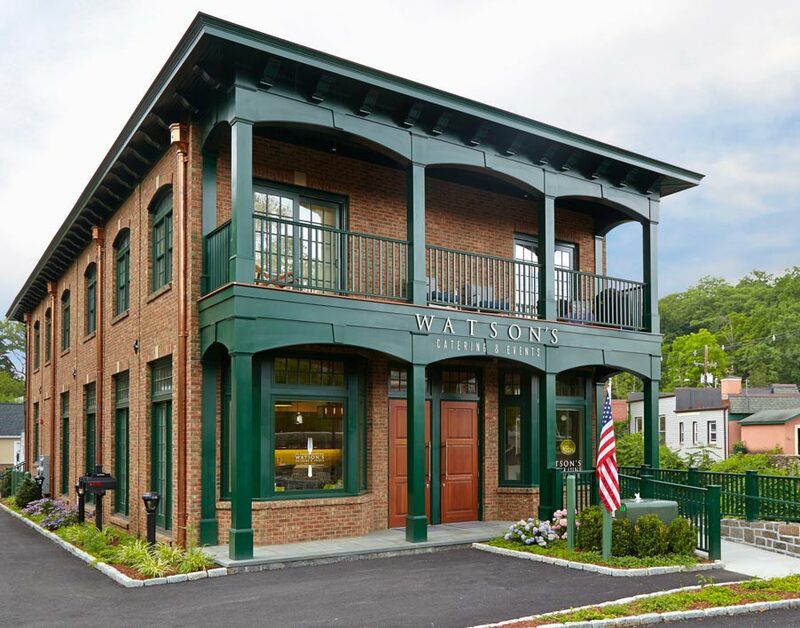 Watson’s has been serving the Greenwich community for over 25 years and has won Moffly Media’s “Best of Greenwich” caterer eight times since 2010. Watson’s is a full service catering and event planning firm executing phenomenal events in Fairfield and Westchester Counties, and New York City. We are known for our exquisite food as well as professional and courteous service. Our goal with every event, whether it be a wedding, private affair, corporate event or non-profit gala, is to attend to every detail so you can fully enjoy your party. Susan Watson Scully, President · Susan has been a well-respected full service caterer in Fairfield and Westchester Counties for over 20 years. She has gained notoriety through her innovative approach to party planning, always conscious of creating the most unique, memorable event for her clients. 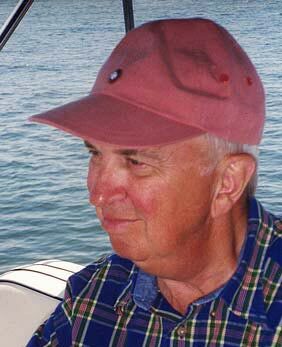 “I get great satisfaction being able to change the ordinary into the extraordinary. We pride ourselves in delivering more than just great food; we deliver the total experience. It’s what makes the job so much fun for us and such a success for our clients.” You can email Susan at susan@watsonscatering.com. Jennifer Bonnette, Director of Catering · Niffer has been planning and orchestrating parties and events for over 18 years. Her lively spirit and creativity, coupled with an impressive knowledge and experience in planning and organization, makes her an invaluable asset to any party. “It’s just such fun when a client lets us stretch and be creative—that’s what we do best.” You can email Jennifer at jennifer@watsonscatering.com. 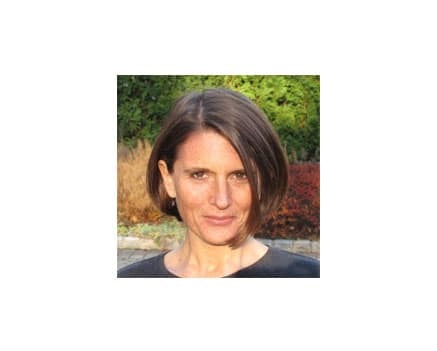 Ruth Suhr, Event Planner · When you call Watson’s most likely you’ll be greeted by Ruth. She has handled party planning for us for the past fourteen years, keeping the office running smoothly and all of us on our toes. “There’s never a dull moment here at Watson’s. Even when things are hectic, I really enjoy working in a dynamic creative environment.” You can email Ruth at ruth@watsonscatering.com. Ali Ghiorse, Event Planner · By way of Mill Valley, CA, we are excited to welcome Ali as the newest member of the Watson’s family. She brings over 15 years of experience as a chef and event planner. Ali founded Savory Thymes and worked closely with nonprofits offering fundraising events including carefully sourced menus that celebrate local and sustainably grown food. An advocate of Slow Food, Ali’s menus feature heirloom varieties, breeds and artisans. She combines her experience with attentive care for every client—we feel lucky to have her! Ali can be emailed at ali@watsonscatering.com. 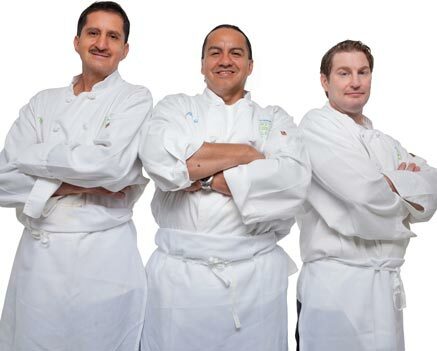 The Watsons Chefs · Marco Maldonado (Sous Chef) has been with Watsons for 23 years, Alfredo Maldonado (Chef) has led our kitchen for 20 years, and Paul Vinci (Chef) has worked with us for the past 12 years. 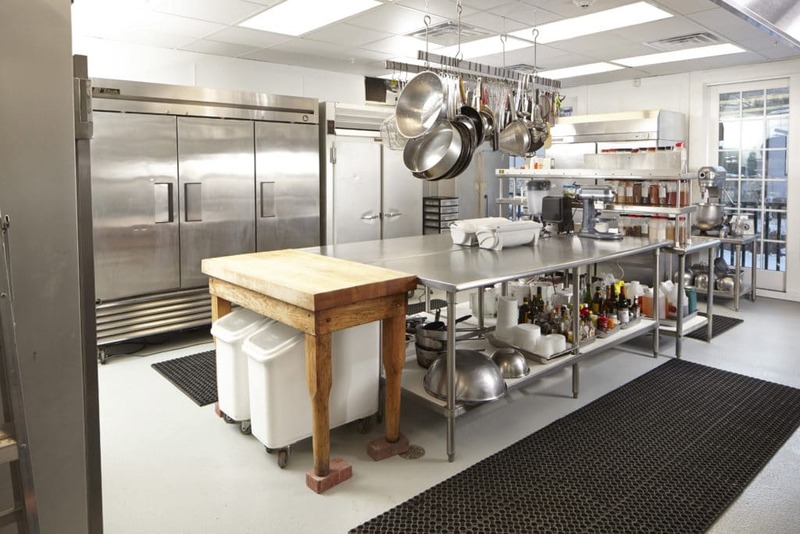 Watson’s chefs each bring decades of experience and highly creative skills to their craft. Our entire kitchen staff is dedicated to creating and delivering menus that delight and satisfy our clients and their guests. 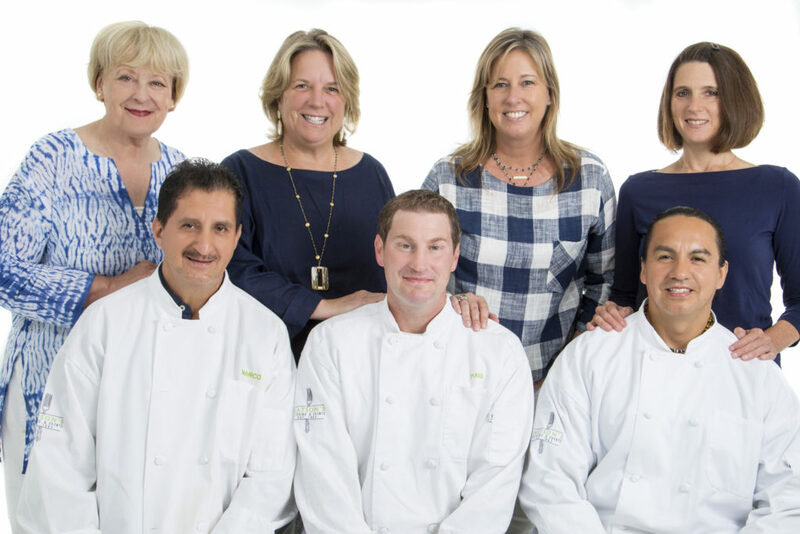 Alfredo Maldonado, Chef · Fredo honed his expertise and culinary style at Emily Shaw’s Inn at Pound Ridge before joining the Watson’s team in 1995. A native of Ecuador, he brings an eclectic, international sense of style to his cooking. “Working at Watson’s has allowed me to experiment with different foods to create unique offerings for our clients.” He has cooked for two sitting presidents, as well as former Secretaries of State Colin Powell and Henry Kissinger. At many Watson’s events, Alfredo is asked out by his hosts to receive an ovation for his oustanding work. Paul Vinci, Chef · Paul joined the Watson’s team in 2002. He is a graduate of The Culinary Institute of America (CIA) and has over 20 years of restaurant experience working his way up the ranks in some of the finest restaurants and country clubs. Along with extraordinary creations in hors d’oeuvres and entrees, Paul has a special culinary passion for creating beautiful and elegant desserts and pastries. Along with our clients, even the Watson’s team delights in tasting his newest creations. Marco Maldonado, Sous Chef · Marco started with Watson’s in 1993 and worked his way up to working side-by-side with Alfredo and Paul. He is responsible for the construction of many of our most creative and time-consuming special items, such as our famous Mini-grilled Cheeseburgers and our Watsons’s Precious Vegetable Bundles bound with chive, and with every event he continues to explore new ways to delight our clients.